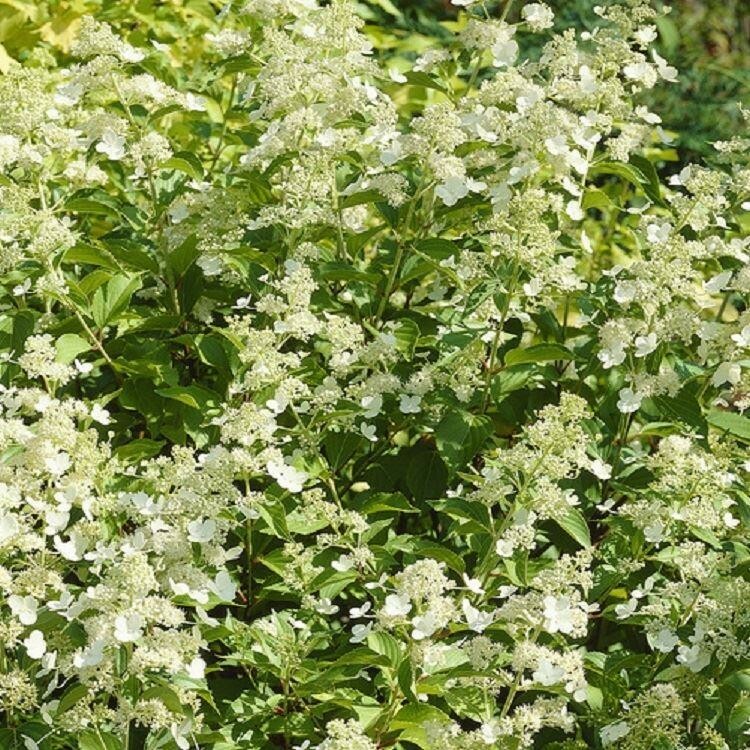 This is a superb shrubby Hydrangea with conical clusters of creamy-white flowers from August to September and glossy green foliage. 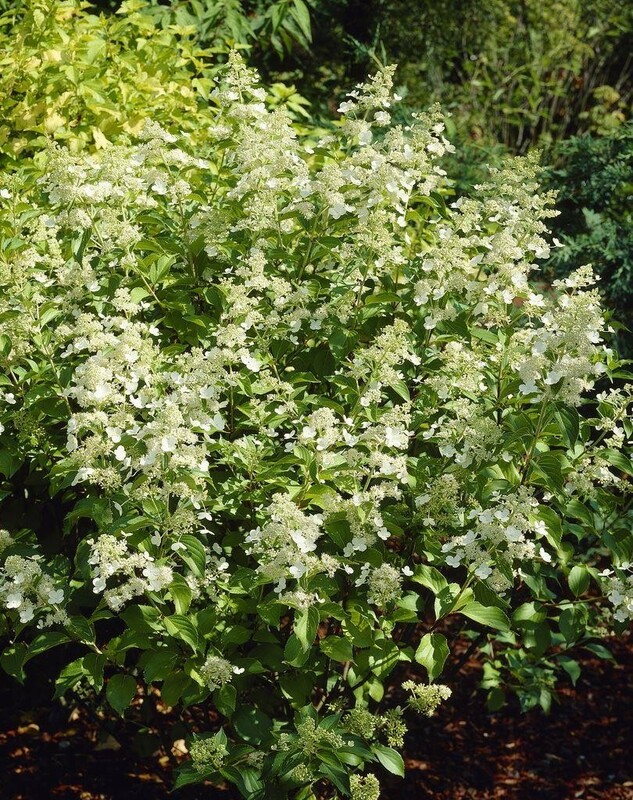 It is a vigorous plant that will prosper in sun or partial shade. 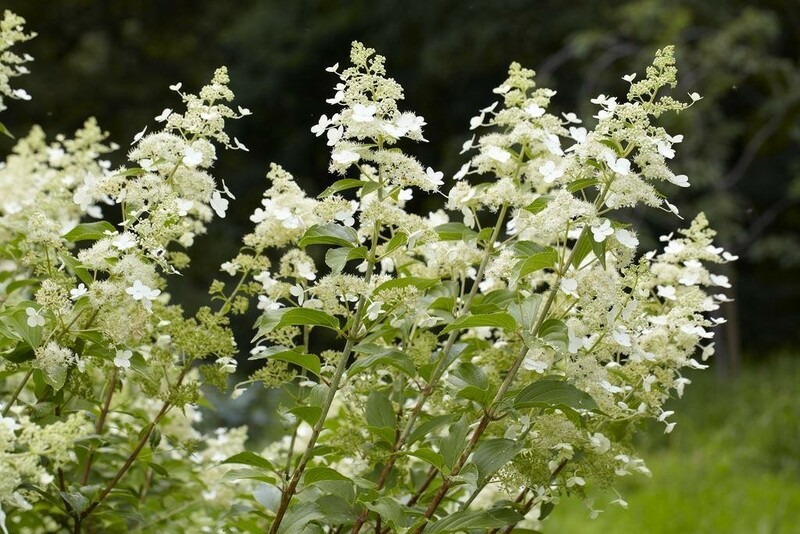 Erect in habit it makes an excellent specimen plant for a large shrub or mixed border, especially good grown against a fence of wall. Supplied in 2-3 litre containers.